is in attendance at public telephone call offices to assist users by obtaining required number, etc. ; collects fees and has general charge of the telephonic instruments. 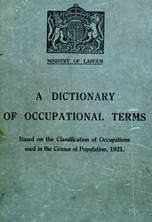 resides on premises of a small telephone exchange, and performs part or whole duties of telephonist q.v. agrees to provide accommodation for small telephone exchange on his own premises and acts as telephonist q.v. performs night and Sunday duty as telephonist q.v. at small telephone exchanges. performs night duty as telephonist q.v. at large telephone exchanges. operates switchboard in telephone exchange, during day time, to make connections between instruments of subscribers and other persons using telephones.